I haven't spent a lot of time writing poems lately. I'm focused on longer fiction works but last night I wanted build a new gif poem. It is simple. It is corny. But was fun to build again. I have been thinking a lot lately about projecting these gif poems onto walls around town. I'm a little scared about it because I will have to stand outside with my equipment and will have to deal with people's reactions which I fear would be negative. I know that is silly, but it's how I feel. I'm not comfortable as a person out in the world. 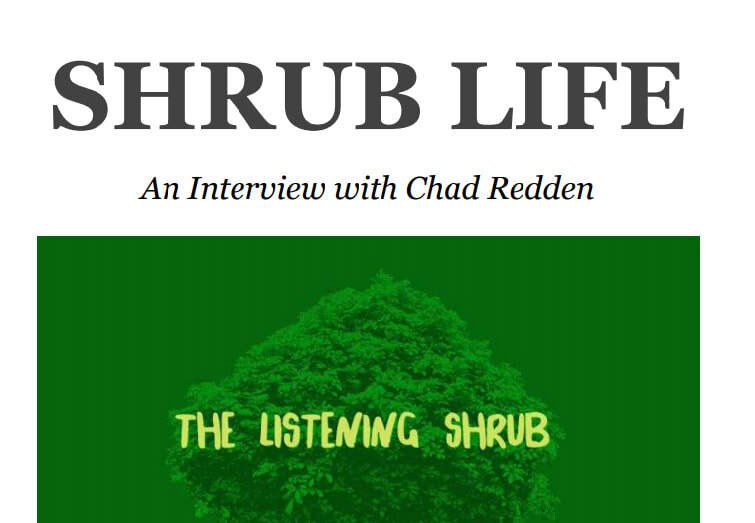 Lucy K Shaw was nice and curious enough to ask me a few questions about my game The Listening Shrub for the Shabby Doll House Reader. You can find out more about the Reader here. I participated in my first game jam using the bitsy game engine. The theme was midnight and I had a few days to learn how to create a game in bitsy. The story is fairly simple. A spirit drifts around at night. I enjoyed using the engine. I plan on creating a few more games with this system. You can try out A Restless Spirit here.